Since the risk was mispriced, thanks to the Fed (Basel 2) adopting suspect copulas, there was something not moral happening on both ends of the housing bubble. Because the subprime paper market froze up, as explained below, any financial engineering or inaction on the part of the Fed, that tightened the money supply, also had unforeseen consequences that weakened the banks more than planned. I had written that interbank lending was affected by the LIBOR rate explosion as well as subprime lending. However, as chart 3 below will show, that there was a delay in interbank lending decline, as it did not significantly decline until the Lehman failure and again with the advent of interest on reserves for the big banks. 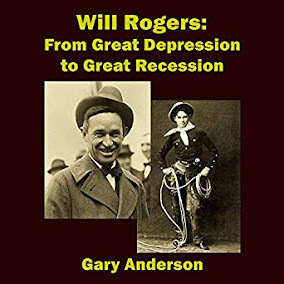 There is a timeline offered here that may add to a reasonable explanation of the unfolding of the Great Recession. 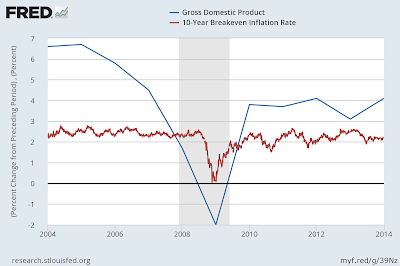 There are three charts below, making a timeline of sorts that shows a possible deliberate deepening of recession. I explain the charts in detail below. The Fed ignored data, or actively tightened for two whole years, including implementation of interest on reserves (IOR). Chart 1 refers to the GDP decline, starting in 2004-2005 but really picking up in early 2007, compared to inflation, which kept steady until late 2008. Massive layoffs also occurred in late 2008. Was that not a random coincidence? 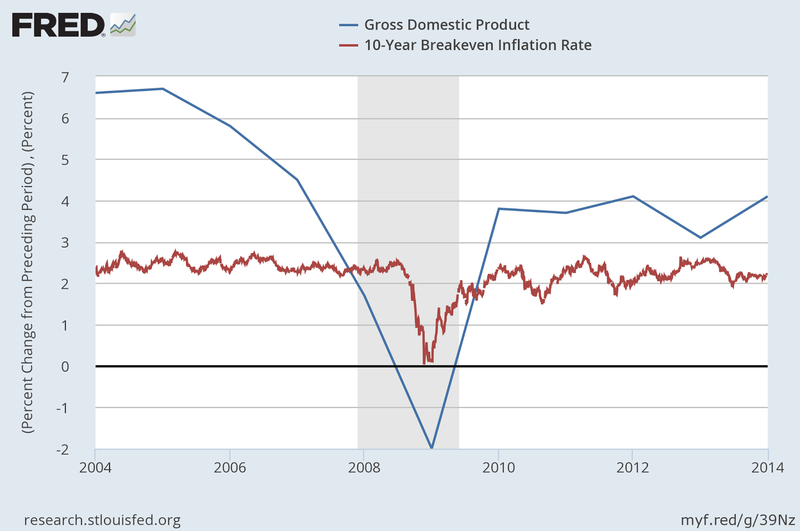 Chart 1 shows Fed inaction in the face of a major NGDP crisis. 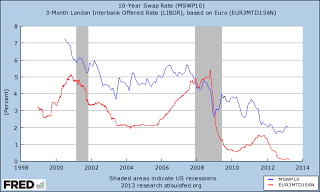 Chart 2 refers to LIBOR interest rate exploding and crossing the Swaps rate, the blue line, making swaps unprofitable for banks, causing bank subprime lending to slow. Swaps were insurance against bad real estate loans. And when that insurance was no longer safe for the banks, lending slowed. Also, when LIBOR rose, adjustable mortgages became unprofitable. Bernanke speaks of this 2007 LIBOR explosion as if it caused the decline of interbank lending. So it is necessary to look at chart 3 to show that was not quite true. Chart 3 refers to interest on reserves paid to the banks by the Fed. The interbank lending started to dive in late 2008 as the crisis hit, and Lehman failed September 15th, which is the first vertical line, but rebounded slightly until Bernanke started paying IOR. The skyrocketing cost of unsecured bank-to-bank loans mirrored the course of the crisis. Usually, a bank borrowing from another bank will pay only a little more (between a fifth and a half of a percentage point) than the U.S. government, the safest of all borrowers, has to pay on short-term Treasury securities. The spread between the interest rate on short-term bank-to-bank lending and the interest rate on comparable Treasury securities (known as the TED spread) remained in the normal range until the summer of 2007, showing that general confidence in banks remained strong despite the bad news about subprime mortgages. However, the spread jumped to nearly 2-1/2 percentage points in mid-August 2007 as the first signs of panic roiled financial markets. It soared again in March (corresponding to the Bear Stearns rescue), declined modestly over the summer, then showed up when Lehman failed, topping out at more than 4-1/2 percentage points in mid-October 2008 (pp. 404-5). But if you look at interbank lending in the third chart, it continued despite the high cost, even increasing in August and September, 2008 prior to Lehman! LIBOR cost increases in 2007 did not slow interbank lending down at all for the big banks between each other, until Lehman! What really slowed with the LIBOR explosion in chart 2 was subprime to the public. According to Investopedia, the most common subprime loan was an ARM, which started out with a low fixed rate and then converted to a floating rate based on LIBOR plus a margin. When LIBOR rose, that margin was undone. That could explain why banks like Barclays were desperate for LIBOR to decline back below the Swap line. So, Selgin, who may not view all this as part of a master plan, (you have to ask him), clearly catches Ben Bernanke in a strange statement that clearly is diversion from actual events. Again, the third chart clearly shows that the first vertical line, September 15th, 2008, Lehman's collapse, was the start of interbank lending collapse. The second vertical line, October 15th, shows small banks beginning to receive interest on reserves. Small banks receiving IOR did not destroy interbank lending. In fact, interbank lending did not fall off the cliff until the third vertical line, October 22, when the big banks began receiving interest on reserves! 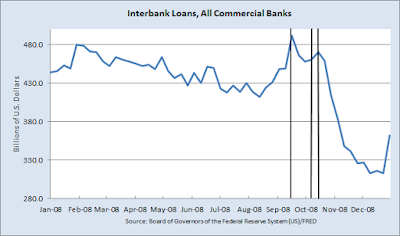 IOR for the TBTF banks was the main factor in the destruction of interbank lending. It is clear that the interbank lending decline, (chart 3) was not in the mirror of the LIBOR explosion timeline, chart 2, until the collapse of Lehman almost 2 years later. The explanation by Bernanke is factually incorrect. But it is true that toxic CDOs and CDSs based on subprime lending, destroyed by LIBOR's push upward, lead to Lehman's collapse. The destruction of interbank lending due to toxic subprime paper, exposed by Lehman's demise, was a delayed reaction. Bernanke's Fed is almost rewriting history, it seems. But their own chart 3 refutes that "history". And if you extend chart 3 back to 2006-2007 you will see that interbank lending was increasing in 2007. The Fed should have intervened much sooner in the process. If the Fed shared Henry Paulson's concept that subprime was contained as he stated in 2007, that was either a mistake or fraud. With LIBOR exploding at that time, was nothing was contained. IOR for the big banks, coupled with lack of responsible actions for at least two years prior, increased the intensity of the Great Recession, first by ignoring NGDP, second by ignoring the LIBOR explosion, and third by the combination of the Lehman collapse coupled with the implementation of IOR for the big banks. Bernanke made the crisis worse by inaction and IOR which was a tightening of the money supply, and then failed to explain it correctly. And was it necessary to halt interbank lending by implementation of IOR (chart 3) in order to drop LIBOR below the Swap Line in chart 2? That drop in LIBOR didn't restore trust or interbank lending, and included bank manipulation of the rate. That became known as the LIBOR scandal, a fraud upon the counterparties of the banks. London, the seat of world finance, controls that system by controlling LIBOR. That fact certainly should not be taken lightly by US regulators going forward.